Innovative Rotherham company, Xeros, is expanding its US coverage with acquisition of another personal protection equipment (PPE) cleaning business. The AIM-listed firm has targeted the PPE market where an increasingly stringent US regulatory environment is leading to a significant rise in the outsourcing of the cleaning and inspection of fire-fighting and other uniforms to specialist independent providers. 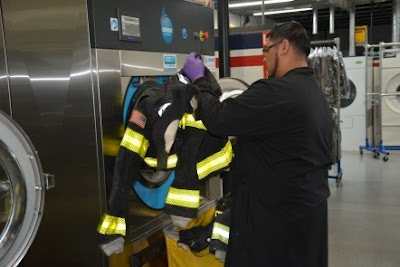 Xeros has acquired Gloves Inc., which provides, cleaning, inspection, and repair services for firefighter PPE from facilities in Atlanta and Miami. It follows on from a deal to acquire Las Vegas-based MarKen in 2017. Gloves was acquired for an initial cash consideration of $800,000 (£565,760) with a further contingent cash consideration of up to $300,000 (£212,160), subject to certain growth targets. Xeros said that the initial consideration was funded from its existing cash resources. For the year ended December 31 2017, Gloves generated revenues of US$0.99m and EBITDA of US$0.36m on gross assets of US$0.15m. Xeros' strategy is to achieve national coverage by operating specialist cleaning facilities serving the major US metropolitan areas. The acquisition of Gloves, together with the acquisition of MarKen, represent key milestones towards achieving the goal of having four sites by the end of 2018, with national US coverage expected to be achieved in 2019. With 1.1m firefighters in the US, the annual value of the firefighter PPE cleaning market is estimated to be US$330m. Mark Nichols, chief executive of Xeros, said: "Our acquisition of Gloves is the next step in bringing the transformational benefits of our technology to the entire US firefighter PPE market. The learning and competence which we are now acquiring will be the platform from which we can make our technology available on a global basis for a number of high performance workwear markets."